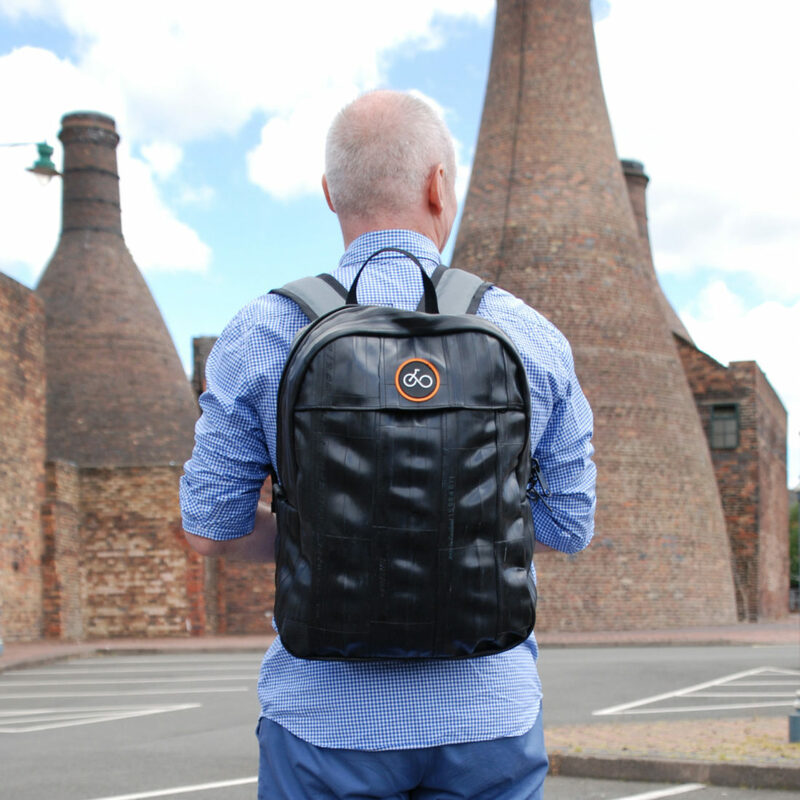 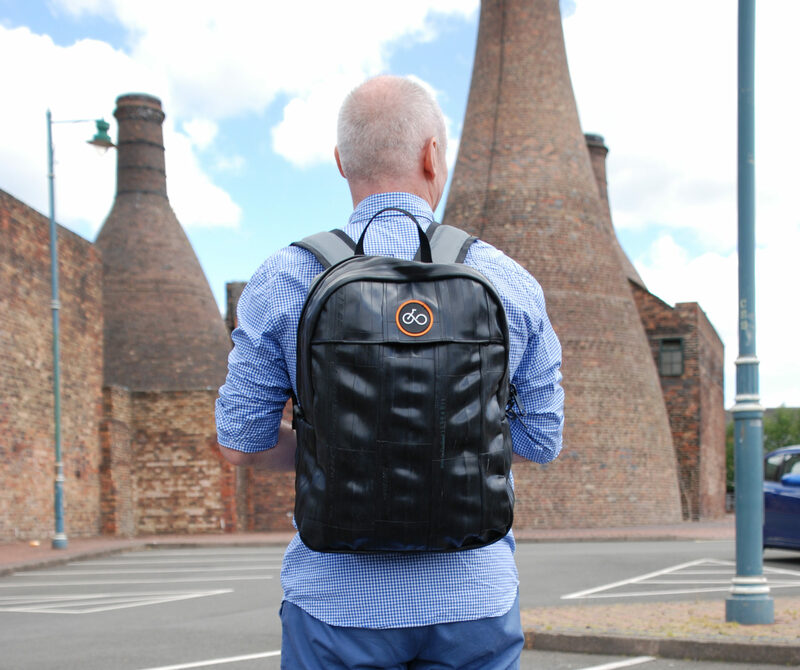 This stylish yet sturdy rucksack is perfect for your cycle commute… even in typical British weather! 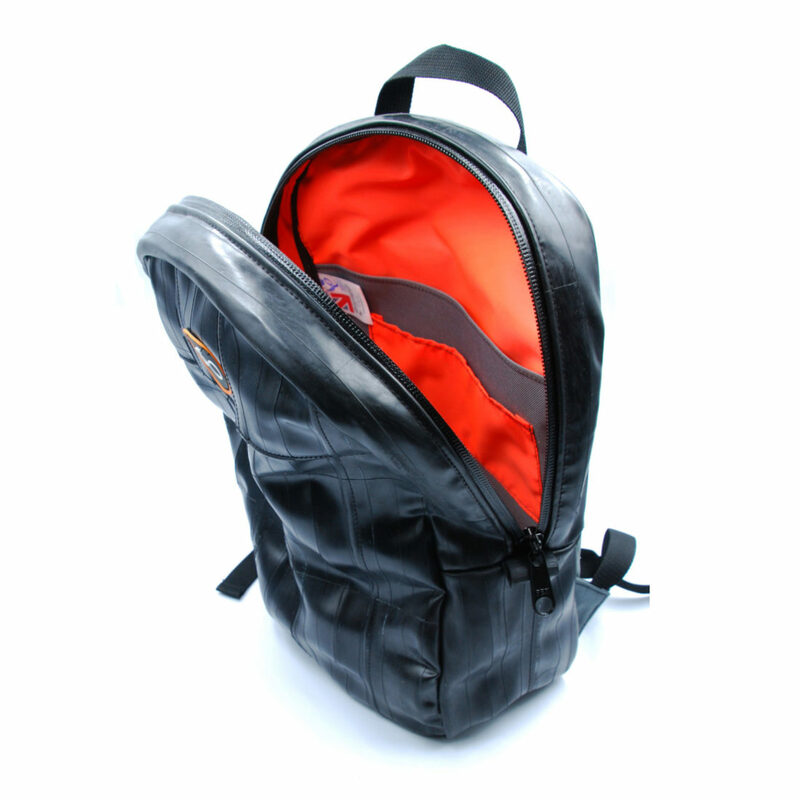 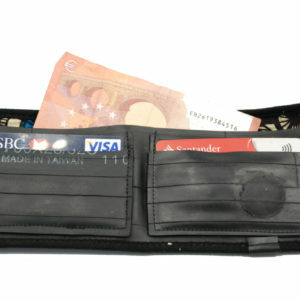 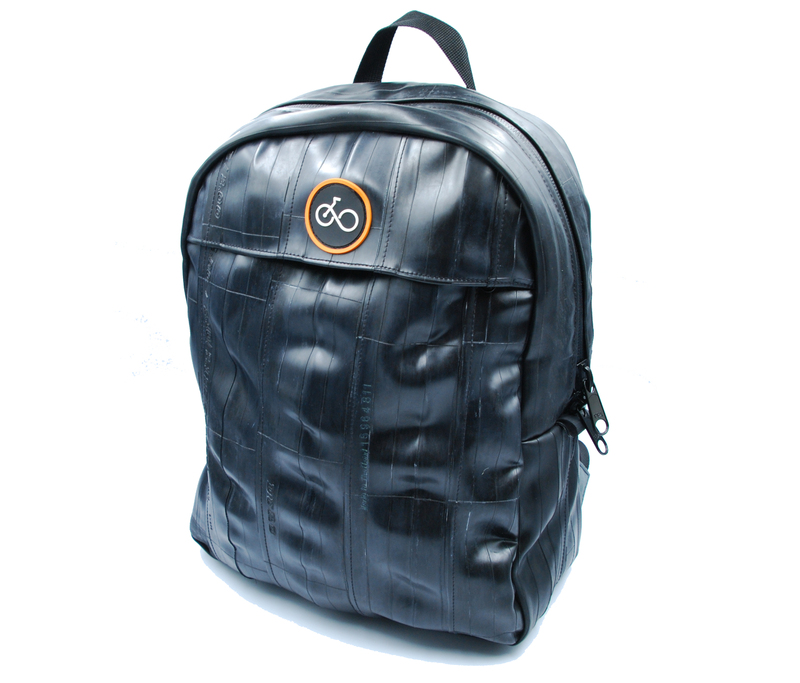 It’s robustly constructed using recycled inner tubes to the front and sides, with fantastically strong all-weather zips. 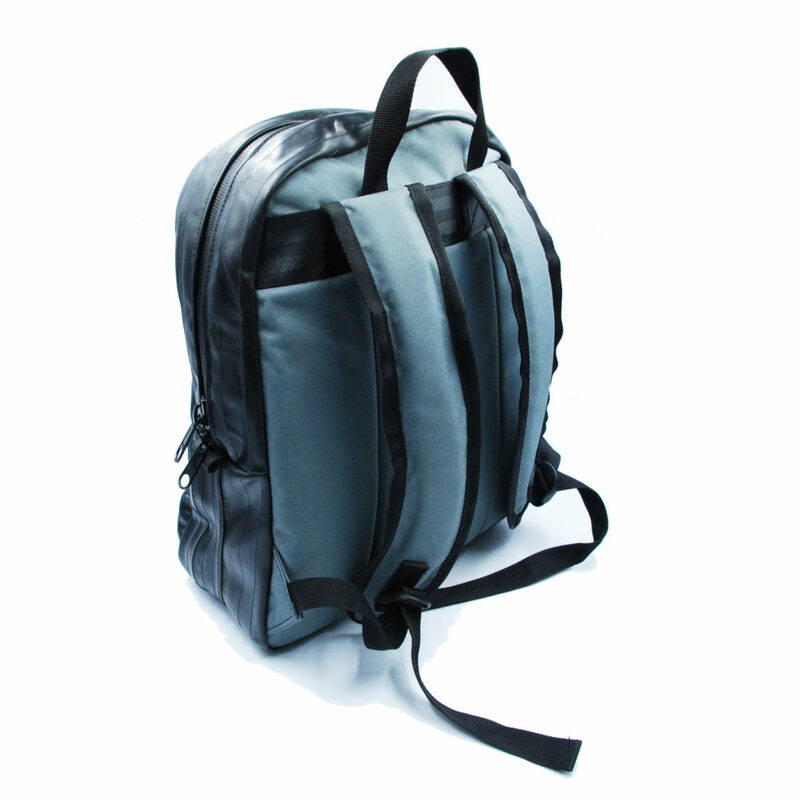 The back and straps are padded grey nylon, making it super comfy to wear even with heavy loads. 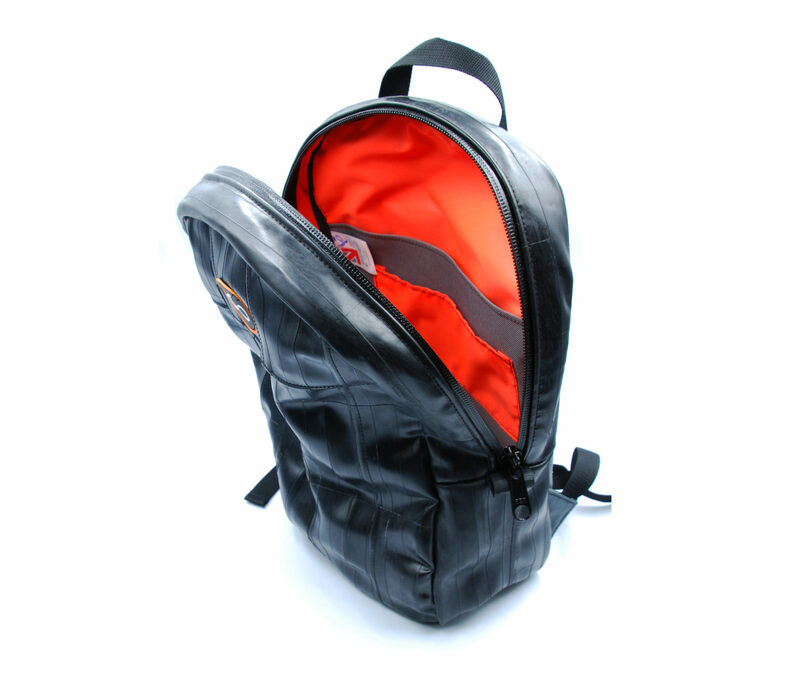 There’s a roomy main interior lined in eye-catching bright orange, complete with a sleeve large enough for a 17″ laptop. 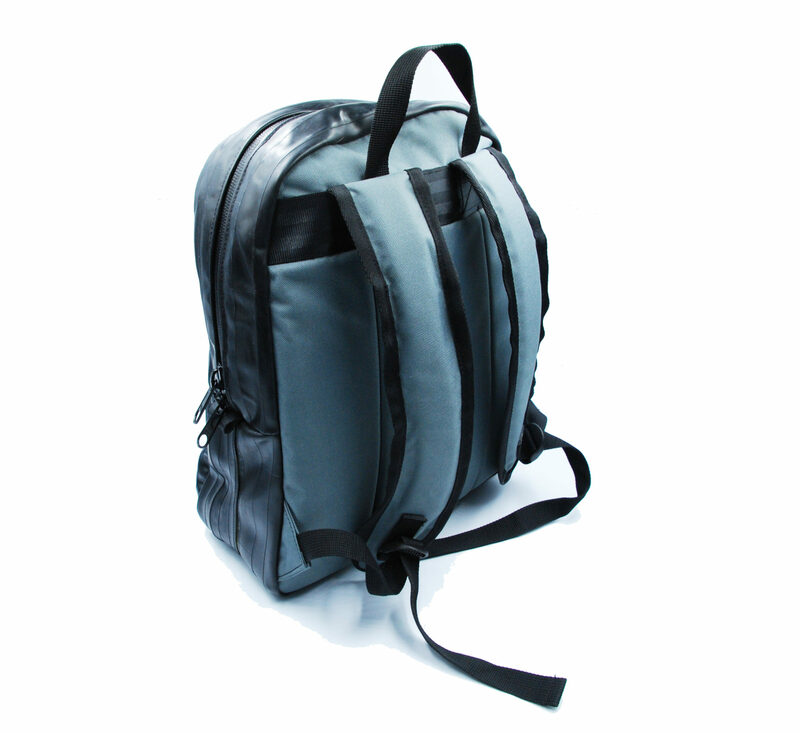 There’s an additional external pocket, perfect for notebooks and files. 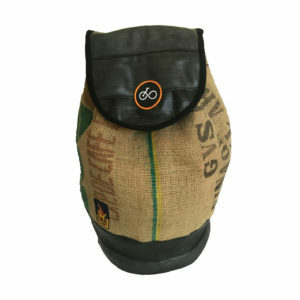 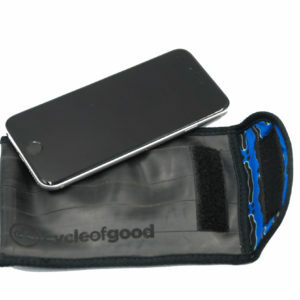 Due to the nature of the recycled inner tubes, some bags may have tube manufacturers writing or the odd puncture repair patch- this just adds to the character of the bags and means that no two will ever be absolutely identical.